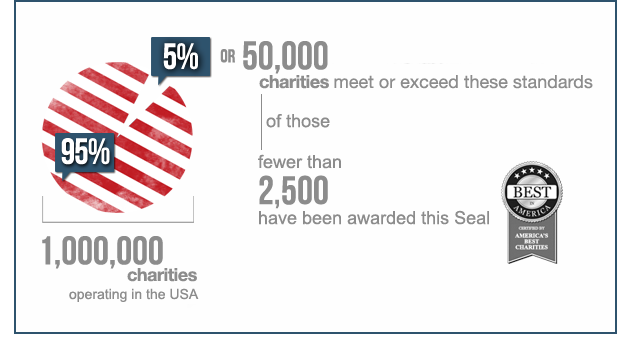 The America's Best Charities Seal of Excellence is awarded to charitable organizations that meet the highest standards of public accountability, program efficiency, and cost effectiveness. Applicant charities must provide evidence of their program activities and demonstrate the benefit of their services. They must submit for review their most recent IRS tax returns with all schedules. Charities with annual revenues above $250,000 must also submit audited financial statements produced by an independent certified public accountant, including an auditor’s opinion letter stating the charity meets the generally accepted accounting standards in the United States.